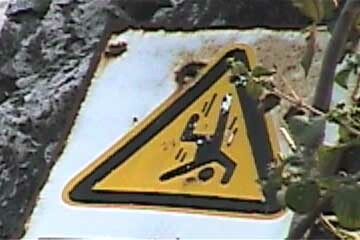 Beware of People Falling from the Sky? Yes, I went back again. This was my fourth trip to China, the first was in the Summer of 1999, that time I just went to Beijing to train wushu, the second time was Winter 2000, to see some friends and try to see some of China's scenery, the third time was August 2001, to watch the All China Games, which totally rocked. Each time I came back my ability to navigate through China improved a lot, and I also made a lot of friends in different places each time. This all led up to my fourth trip,the one where I just there to do some touring, to see all the places I wanted to see the previous trips but ran out of time or chickened out on. There is very little related to wushu here though, so be forewarned! This time I finally made it to Guilin, one of the worlds most scenic spots, and also cruised through the Three Gorges, which will soon be flooded in a huge dam project. So that's what this photoessay will be mostly about. I don't have time to write much, but I have plenty of pictures of some great scenery to share. This time I brought a video camera too, not only do you get regular photos, but also some frame grabs AND a few short video clips to really get into the trip. The video clips are in Real Video format. If you can't view them download their FREE VIEWER. I tried really hard to keep the file sizes as small as possible so dialup and international visitors can still enjoy them, and so as to not overload the server. Clips are denoted by the - - icon.